You’ve finally obtained your Private Pilot’s Licence. You studied hard, passed your written examination, earned all your flight time and passed your Private Pilot Skills Test. You are now the holder of a Private Pilot’s Licence. So, what’s next? The obvious answer is more flying. You are now free to fly wherever you want and take passengers along for the ride. You no longer need a flight instructor. You can fly yourself on vacations in small single engine airplanes, and you can immediately start working on your next rating. Once you have your Private Pilot’s Licence, you are free to fly anywhere you want and take passengers. As a private pilot, you can’t fly for hire or charge your passengers for your time, but you can take passengers along with you during your flights. You no longer need a flight instructor with you in the aircraft. You can fly to the airports you flew to as a student pilot. You can fly to new airports. You can fly longer trips. All you have to pay for is the fuel and the rental of the aircraft. 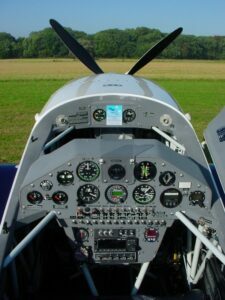 You can also fly any small single engine aircraft. Though, I recommend sticking to the types you trained in. If you try a different type of single engine aircraft like a low wing when you trained in a high wing, I recommend getting a couple hours with an instructor to become familiar with the plane. When it comes to flying, safety is always first. As a private pilot you can now fly yourself on vacation. Of course, you have to pay for the flight time on the aircraft and the fuel. Some airports will even charge a fee due to the aircraft being unavailable. You’ll have to work out the payment details with your FBO. If you opt to buy your own airplane, all you have to pay for is the fuel and loan payments if you didn’t buy it in cash. Of course, there are other expenses associated with owning your own aircraft, but it’s yours to fly when and wherever you want. I once flew from Indiana to Florida, Key West and Jamaica in a Cessna 172. I took another pilot with me, and we split the flight time and fuel costs for the week. The total trip was $1,300 including the hotel rooms. We spent four days in Florida, two days in Key West and a day in Jamaica. We were free to land at any small or large airport. We were free to takeoff and depart when we wanted. There were no security checks. It was extremely hassle-free and convenient. After you attain your Private Pilot’s Licence, you can also start working on your next rating and one option for post PPL students is the Instrument Rating. The Instrument Rating allows you to fly in less than perfect weather using the instruments and navigation tools in your aircraft. As a private pilot, all you can do is fly during VFR weather. That means mostly clear skies and no storms. Without an instrument rating, you’re also unprepared in the event you accidentally fly into deteriorating conditions, and it happens more often than you might think. I remember one flight where I scheduled a training flight with a student on a long cross-country flight. The weather was clear that morning and forecast to deteriorate that afternoon. Our flight time and stop and refuel time had us back at our home airport before 2 p.m. Unfortunately, the headwinds were stronger than anticipated. It was 3 p.m. before we departed our last airport. The clouds had fallen from 5,500AGL to 3,500 AGL, and we were flying over hilly terrain. As a flight instructor, I had an instrument rating. We could depart. If it had just been my student or a private pilot, he or she would have been trapped at that last airport until the weather cleared the following day. In short, there’s a lot you can do after you attain your Private Pilot’s Licence. You can fly anywhere you please, you can fly yourself on vacation, and you can immediately start working on your next rating.